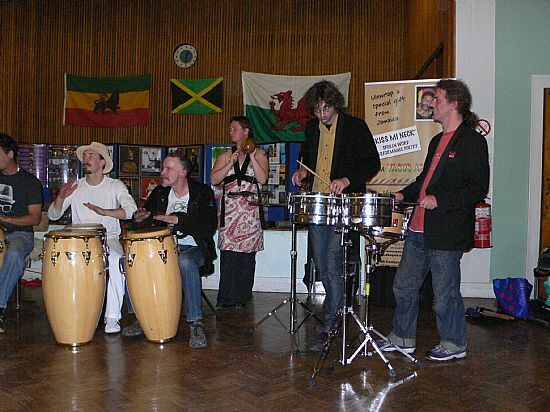 Before 2010 different groups in North Wales had put on activities during Black History Month, but there had never been a concerted attempt to promote Black History Month activities together. 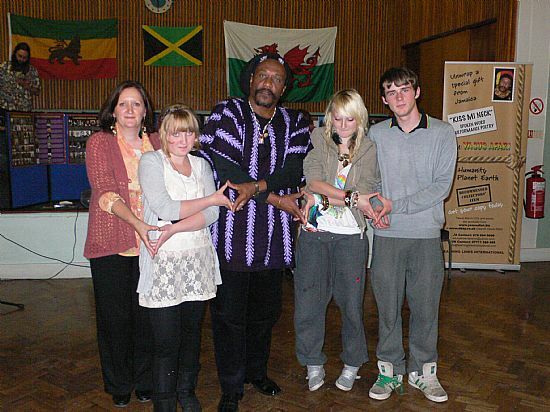 However after a visit to North Wales in June 2010, Jamaican poet, Yasus Afari, agreed with Leanne Rhaman, BHM Co-ordinator for Wales, to support Liz Millman from Learning Links International and Roger Hughes from Conwy to set up a tour for Yasus Afari to lead on activities and to launch BHM in North Wales in 2010. The Launch was held at Bangor University - hosted by the African Caribbean Students Union. Yasus Afari was the guest of honour, here seen with some friends.